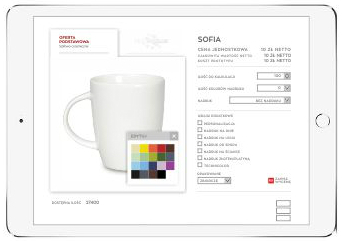 We are offering cups made of white porcelain from leading European factories. Advertising profucts with a concept. Interesting solutions. Good prices. Multicolor is a method of coloring porcelian mugs according to Pantone. Main technique for decorating porcelain. Decoration is dishwasher safe. Additional 5% off for all orders placed until the end of February. The promotion is already in progress - it applies to the whole range of products: mugs and cups.